In September of 2007, my sister underwent an emergency c-section and subsequently gave birth to her beautiful daughter, Katelyn. 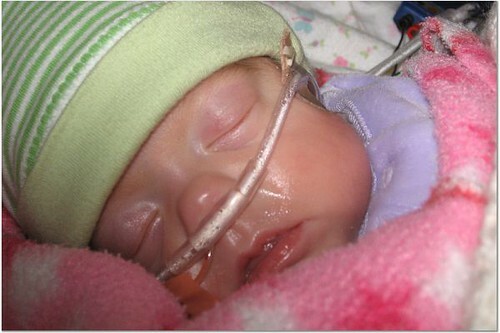 Katelyn was born at just over 23 weeks, far far away from her due date of January 14, 2008. At birth, Katelyn weighed a tiny 1 lb., 3 ozs. and was barely 11 inches long. None of us were sure what would happen next. Katelyn stayed at Minneapolis’ Abbott Northwestern Hospital until just last week. After scary surgeries, bleak touch and go days, and frustrating delays, my sister and her husband took finally Katelyn home to Montana. She now weighs 8 pounds and just celebrated her “two week” birthday. My sister came into the world in a less dramatic, but still frightening way. As a result, she battled vision and hearing problems as a young girl and has struggled with learning disabilities all her life. I like to think that she engendered a fighting spirit in Katelyn and a genetic spitfireness. From the time of her birth, Katelyn fought to survive (and even got a little pissy when nurses tried to keep her on oxygen too long). 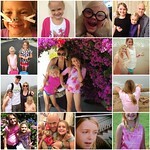 Against all odds, Katelyn is now home.